Sunday 11th May...Warks Under 25's play Worcs Under 25's on our green. All spectators welcome. Starts 2.30pm. First Interberga Match... Tuesday 29th April. The first ever Pre- season meeting will be held at 6.30pm on Friday 11th April, at the club house. Hear what has been going on during the closed season and have your say about future events and any changes/improvements you want to see. Committee Meeting...Tuesday 8th April..10am at the Club house. Committee Meeting...Wednesday 12th March...2.30pm at the club house. Race Night...Saturday 8th March 2014 at SSSC...7.00 for 7.50 start. Please note changed time...to allow for any over run of a previous match. Committee Meeting...Wednesday 5th February 2014...10.30am at the Club house. Indoor match...Saturday 11th January 2014 against West Midlands Police at Bromsgrove...2.00pm start. Committee meeting...Monday...15th July...2.30pm at the club house. 20th May 2013...Monday...Committee meeting...2.30pm at the Club house. 20th April 2013...Saturday... First game of the season...Presidentsv Captain.. 2.30 pm start. 8th April 2013...Monday...Committee meeting...2.30 pm at the Club house. Back the winner...get your tickets from Gerald Goodman. 25th Feb 2013...Monday...Committee meeting...2:30 pm at the Club house. 16th Feb 2013...Saturday...Indoors match at Bromsgrove...2:00 pm start. NOTE:-Please bring your monies for Race Night. Tickets are £8 each, payable to Gerald Goodman. 26th January 2013...Saturday...Indoors match at Welford...2:00pm start. Note:- this match was originally planned for 5th January but has been changed. Match postponed due to heating problem. Eileen & Harvey awarded Life Membership. 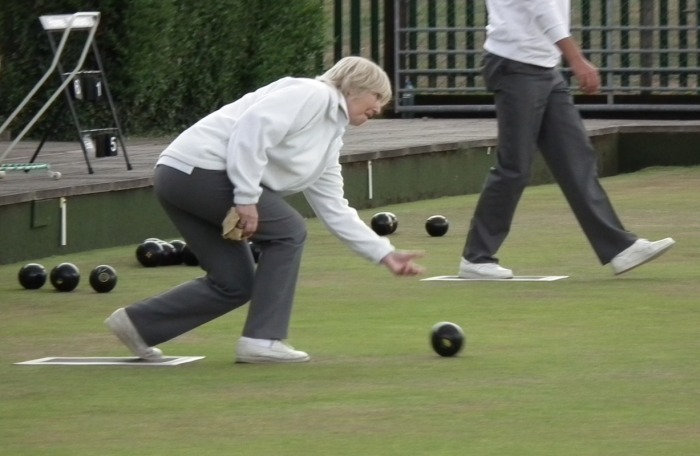 A proposal was made by the Committee and accepted by a unanimous vote at the AGM that Eileen and Harvey be awarded Life Membership of Entaco Bowls Club in recognition for over 40 years loyal and continuous service. Congratulations to both and may you enjoy many more years with the Club. Please come along to this meeting. Tickets for the Skittles evening will be available also. 29th October 2012...Monday...Committee meeting held...2:30 pm at the Club house. Tickets are now available for our annual Presentation evening. As well as handing out the club trophies and honours we shall again be enjoying live music, a quiz, a raffle & Irish bingo. A ploughman's supper will be provided. Please come along, bring friends and family. Tickets are £4 and can be had from Karen Rice and Margaret Pratt. 24th September 2012...Monday...Committee meeting held....2:30pm at the Club house. 1st July 2012...Sunday Gala day...2:00 pm. Thirty two members enjoyed an afternoon of 'friendly competitive' play over four matches of six ends rinks bowling. We started with a group photo, click here to see, followed by an all bowl spider for a bottle of whiskey. Bob Lapsley finishing closest to win the bottle. The ultimate Gala winner was Eileen Brereton closely followed by Peter Bryan and new member Clive Berry in third place. 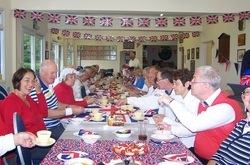 Afterwards we all had a cup of tea and tucked into a great table of food brought in by all members. 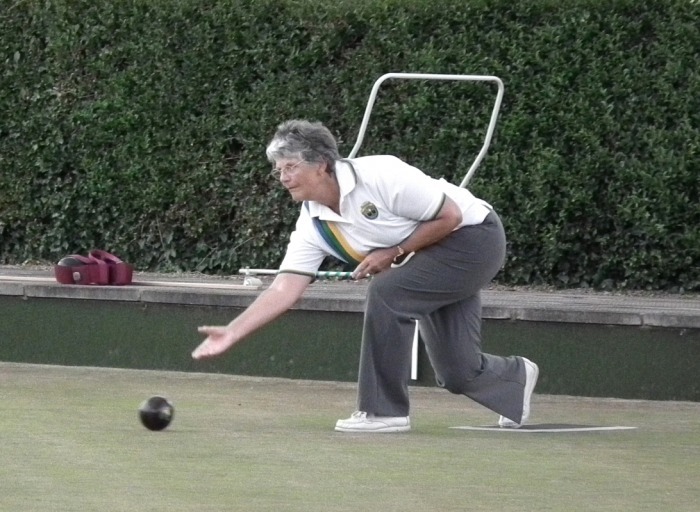 Our thanks to Margaret Pratt for organising the event and Pete Smith for keeping score. 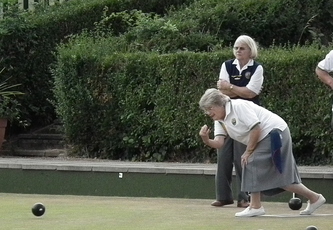 13th June 2012...Wednesday...Committee meeting...2:30 pm at the Club house. An afternoon of fun on and around the Green! 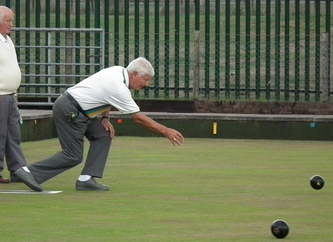 May 2012...a new small bowls equipment shop has opened near Redditch. Situated within Fatboys retail shop at Tardebigge Court it has a small stock of bowls equipment and trades under the Bowls4U heading. It is also able to order items from many of the well known bowls makers. 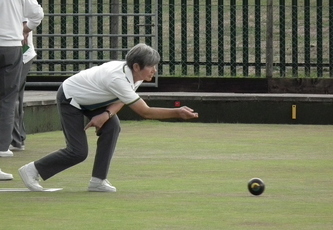 For the Bowls4U site click here. After the wettest April for many years the approach to the club became very wet and muddy. keep our feet dry and our whites clean!. More photos in the 'Photos-Events' section. 7th May...Monday...Committee meeting...2:30 pm at the club house. 19th April 2012...Green opens...2:00 pm onwards. Join us this morning while we clean up the clubhouse and around the green in preparation for the start of the 2012 season. Everyone welcome. Get your tickets for another hectic night of horse racing! To be held at the HDA club...7;30 pm start. Bring a plate of food for an American style supper. Annual presentation of club cups and trophies at the SSSC. Live music, Irish bingo and a quiz. Meet at the Clubhouse at 7:30 pm. 24th Sept 2011...Saturday...Top dressing of the green ready for winter. All meet at the club at 9:00 am for a morning 'light' workout! Entaco ladies team of Margaret Andrew, Judy Warner, Judy Husband and Joan Bell won the Weston Sub Edge gala by winning all of their matches. Well done ladies. This is the second year running that a team from Entaco have won this gala. Skills training with the County coach and his team. Start at 1:00pm. Meeting held 2:00pm at the clubhouse. England U25 International trials. See photos in the Photos-Events section. Entaco had a stall at the SSSC Summer Fete to raise funds and to attract new members. Thanks to Karen and Judy H for giving up their time to 'man' the stall. Photo shows Judy H, Karen and Judy W having set up the stall and flying the flag for Entaco. Committee meeting held..7:30pm at the clubhouse. 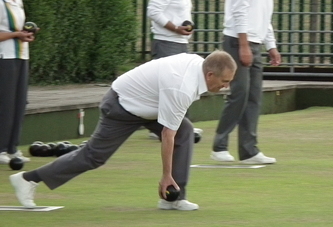 WWBA v Bowls England match held to mark WWBA 75th Anniversary..see Photos section under Events. 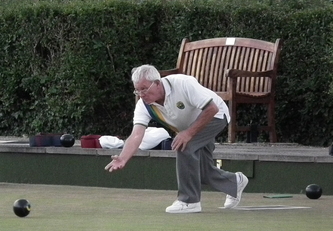 Match against Ross-on-Wye men's Touring team...A good win for Ross. Ladies please come along to a friendly early season roll-up..2:30 pm start...tea and biscuits provided. 21/22nd April...Thursday/Friday evening annual subs are due. Please come to the club and pay your subs...6.00pm onwards...don't forget your club competition fees also. Our annual race evening to be held at the SSSC..Prompt start at 7:30pm. Meeting held at the clubhouse at 2:30pm. Match played over 18 ends- 6 triples games. The result was a narrow 10 points win for Entaco! A good win for Welford. All meet at the HDA club for a prompt start at 7:30pm. Please bring food for an 'American style' supper. Meeting held at 2:30pm at the Presidents home.....freezing cold at the club!! 21 November 2010..Indoors match at Solihull. A good win for Entaco to start the indoor matches. This years AGM took place at the SSSC. It was well attended with close on 50 members present. The committee for 2011 was agreed along with a decision to buy a commercial dishwasher, funds permitting. See AGM section for more details. Committee meeting held at 2pm in the pavilion. 25th September 2010..Saturday..End of season work on the green. A working party of slaves needed to dress the green in preparation for next season. Please come along and lend a hand. Lots of shovelling, brushing and dragging to do! Starts at 8:30 sharp and should be done before mid-day. Presentation evening starts at 7:00pm and will be held at the club pavilion this year. As well as the trophies being handed out there will be a fish & chip supper and a social evening. Even if you are not a winner this year please give your support to this event. Just £5 each covers the supper. Here we are once again at Finals Day. The first matches start at 10:00 am. All members are welcome to come along to cheer on the finalists. See you there. Link to the Finals day results & photos. Committee meeting held today at 7:00pm. Congratulations to the winning team of Margaret Andrew, Maureen Smith, Judy Warner & Helen Goodman. These Entaco ladies won the Weston Subedge Gala on Saturday despite the very wet weather. Wiinning prize was a silver photo frame...just need to take that team photo to add the finishing touch. Well done ladies! 13th August 2010...Friday... hedge cutting. A small group of volunteers cut the hedges in record time. Took about an hour and just before the heavans opened! Thanks to Les, Kelvin, Chris H, Royston, Mike W, Karen, Judy, Harvey & Mike B. 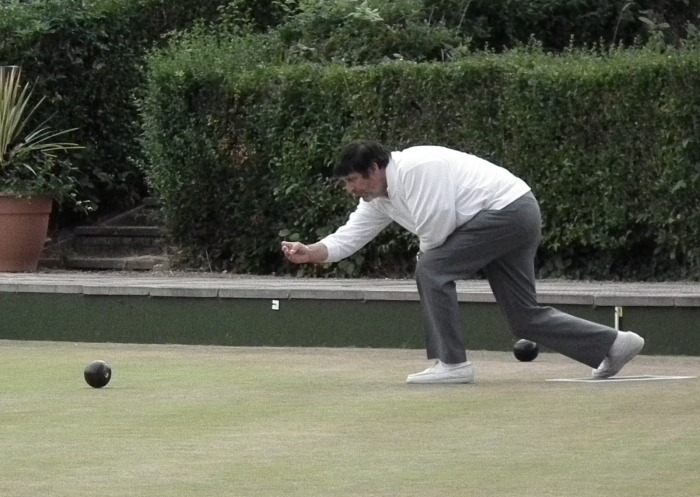 10th August 2010...Tuesday...Interberga League update. The final match of the season saw Entaco gain just 3 points against Barbourne. However we had enough points in hand to ensure we stayed top of the league. A fine season for Entaco with 12 wins from 14 matches played. The season ended with the top three positions thus:- Entaco on 143 points, Barbourne on 116 and Bromsgrove-Joy on 98. Another hard fought win for Entaco against Community. Twelve points to be added to the total mean we can't be toppled from top place going in to the last game next week at Barbourne. Tonights Teams: Top to bottom rows below where: -Rink 4:- Barbara, Mike & Judy. Rink 3:-Brian, Chris & Judy. Rink 2:- Les, Kelvin & Eileen. 27th July 2010...Tuesday...Interberga League update. With more wins this month against Inkberrow, Droitwich Spa and Hewell we now head the league by 33 points with only two games remaining. Well done to all the Entaco Interberga players for a great season. 6th July 2010...Tuesday..Interberga League update. A good home win against Bromsgrove today and a further 10 points. Before today's match Entaco are leading this league with 7 wins out of the 8 games played. With a total of 84 points we were 13 points clear of Barbourne, in second place, before the latest results are taken into account. Gala Day... Over 30 members took part in the Gala Day. Starting with a game of Spider. where all bowled towards the jack in the centre of the green. No one hit the jack but the closest and winner of the bottle of whisky was Brian Fryer. 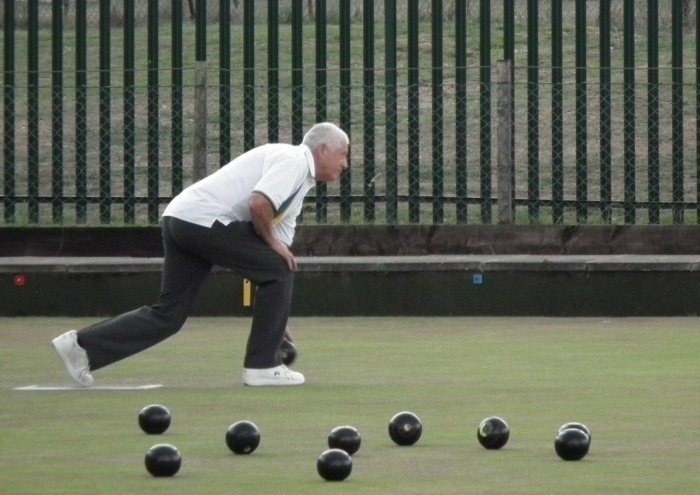 Then followed three games of eight ends of rinks bowling. Teams where chosen at random for each game. The player who totalled the most shots over the three games won. The winner this year, and recipient of the Presidents Cup, is Margaret Andrew with 36 shots. Close runners up where Brian Fryer, 31 shots, and Clive Andrew, 30 shots. Thanks to all who took part on such a warm, sunny and friendly afternoon. Committee meeting held....7pm at the club. 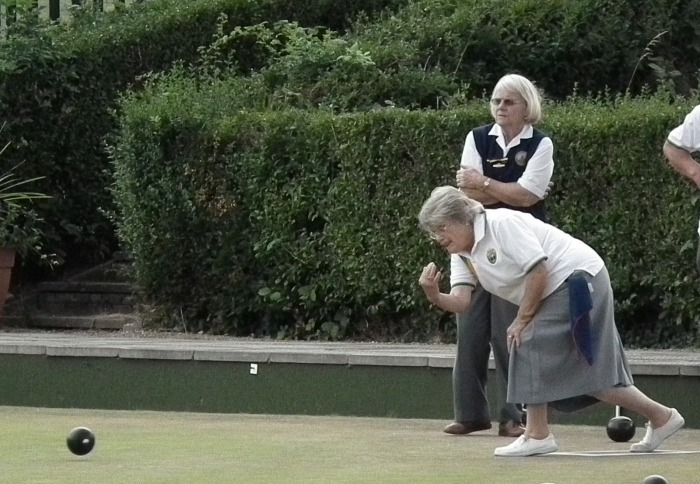 Entaco lady bowlers (L to R) Judy Warner, Karen Rice and Judy Husband win the Hewell Ladies Triples Trophy competed for at the recent Hewell Gala Day. Well done ladies! Working party needed to cut the hedges & tidy up....contact Les Husband. Entaco managed a narrow 3 matches to 2 win, at Wellsbourne, in the Top Club competition, first round. Committee meeting held at the Clubhouse. Our first match of the season starts with the traditional President v Captain game. See newsletter for details. A win for the Presidents team at 134 to 95. See photos under the events section. Annual subs are due and payment can be made at the Clubhouse on Thursday from 6:00pm and Friday between 6:00 and 7:00pm. See newsletter for amounts due. Committee meeting held- 2:00pm start..at the Clubhouse. Club Members......We are having a working day on the green and in the pavilion. Please come along and give a hand, starting at 9:00am. Race Evening...Another full house which we hope everyone enjoyed including the delicious Fish & Chip supper. Committee Meeting held at club-2:30pm start. See March 2010 Newsletter for latest match and club information. A very enjoyable afternoon, only slightly spoiled by Welford taking a narrow victory, 99 to 96! Well done Welford. During the tea break Les Husband publically thanked Chris Pearce for being Entaco's Captain and organiser for the 2009/2010 indoor games. Thanks from all of us Chris. Indoor match against Bromsgrove...6 Mixed rinks...2.30pm start...whites..... A second win in 2010! Committee meeting held at Club. Newsletter to follow. American style food......bring some food to share. Just an evening of fun...casual dress. The AGM was held in the main room at the SSSC. Presentations were also made to the club trophy winners and runners up. To see this years winners go to our Club Trophies page.